A movie or movie franchise is about so much more than just the viewing experience. With several of the world’s biggest on-screen releases having grossed billions of dollars and countless sequels and spin-offs, it’s clear that films have the power to be global brands. Whatever you think about the relentless corporatization of Hollywood films, they feed an appetite all of us have for seeing our favorite characters and plotlines played out again and again. This repetition isn’t just limited to film sequels and spin-offs; whether it’s on t-shirts, online games, quirky memorabilia or even on makeup brands, we satisfy our film cravings through other means. Some films have become so popular in this respect that they have ballooned into global brands, as recognizable and profitable as the largest Fortune 500 companies, with the film’s characters and imagery emblazoned on just about anything you can think of. This is one of the most overt ways that a good film can shape our culture (although plenty of bad films have been mercilessly over-branded too), and it’s something that can tell us a lot about our society and what we admire. Let’s take a look at the most powerful film brands to date, to see what we can learn about society’s tastes. Is there anyone on Earth right now who wouldn’t be able to recognise the world’s most famous bespectacled, scar-toting British wizard? The Harry Potter film series, which spanned almost a decade and was filmed without a single American actor, grossed a whopping $2.4 billion dollars over the total run, making it one of the most lucrative film series ever. The franchise has spawned hugely popular clothing lines themed around Hogwarts iconography, as well as candy, video games, Lego sets and one of the world’s biggest theme parks. The Boy Who Lived’s legacy will stay with us for a long time. James Bond is another British franchise which has become an enduring cultural icon of our times, despite the quintessentially Cold War roots of the original novels and films. The first Bond film, Dr. No, dates all the way back to 1962, and since then, there have been a total of 26 films, each one grossing more than the last (with a couple of exceptions). MI6’s most famous spy has become an icon for modern masculinity, while the settings he works within have projected ideas about British diplomacy across the globe. 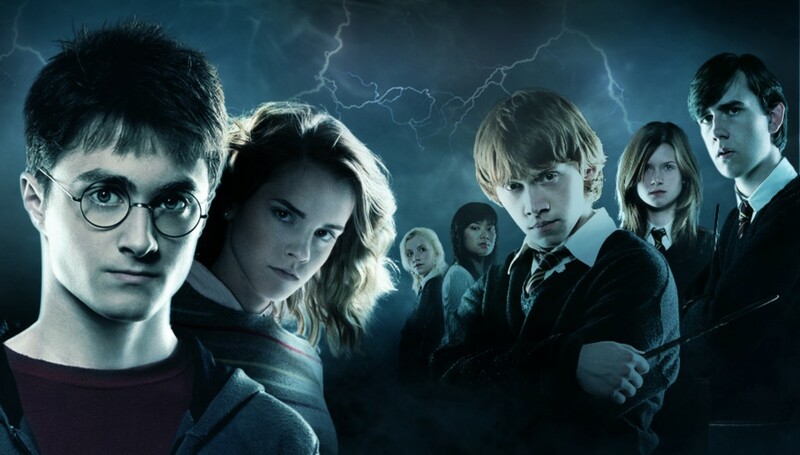 While the film brand has spawned merchandise, multimedia releases and fashion items in equal measure to Harry Potter, it has also worked its way into modern culture in ways you wouldn’t realise. Film phrases like “The name’s Bond…”, “I expect you to die” and “license to kill” remain a part of our regular lexicon, all because of Mr. Bond. The Twilight Saga may not have had the staying power of some of the other big movie brands, having faded into comparative irrelevance these days. However, the impact it had at the time was so overwhelming and wide in scope that it has undoubtedly entered the hall of fame. The series popularized teen vampire content as a genre, popularizing and inspiring dozens of separate films and TV shows. This can also be seen in the popularity of vampire culture in 2018, visible in contemporary fashion and even online casino games, with popular themed slots like Immortal Romance being enjoyed by players for free through Oddschecker to this very day. The series catapulted the main cast to permanent A-list status, and they continue to be household names. George Lucas’ sci-fi fantasy has become one of the most enduring cultural legacies of the modern era, one that encapsulates humanity’s technological and explorative aspirations, as well as our collective thirst for adventure and leaping into the unknown. Star Wars is one of the only franchises in which specific sequels have again been re-hashed for the big screen, and the hugely successful re-launch of the brand by entertainment giant Disney proves that the Star Wars legacy is far from over. The Star Wars empire continues to release clothes, video games, books, comics and pretty much anything else you can imagine, all of which continue to be eagerly snapped up by fans. It’s also the only film franchise to have spawned an officially recognised religion, which shows how powerful it is. The Marvel Cinematic Universe encompasses more than just the recent Avengers films, although these are among the highest grossing films in human history. They encompass titanic icons of American culture such as Iron Man, Captain America, Thor, The Incredible Hulk, Spider-Man and Jessica Jones. Despite only launching in 2008, the movie-going public has embraced this franchise with open arms, and every single release has broken box office records. Visible signs of Marvel’s impact on contemporary culture are everywhere, and it continues to shape modern discourse in too many ways to count. However you slice it, films shape who were are. While the fact that such films tend to be Hollywood blockbusters with mega budgets is a valid criticism and a whole other debate, it’s still touching to see the power that film has to bring hundreds of millions of people together.